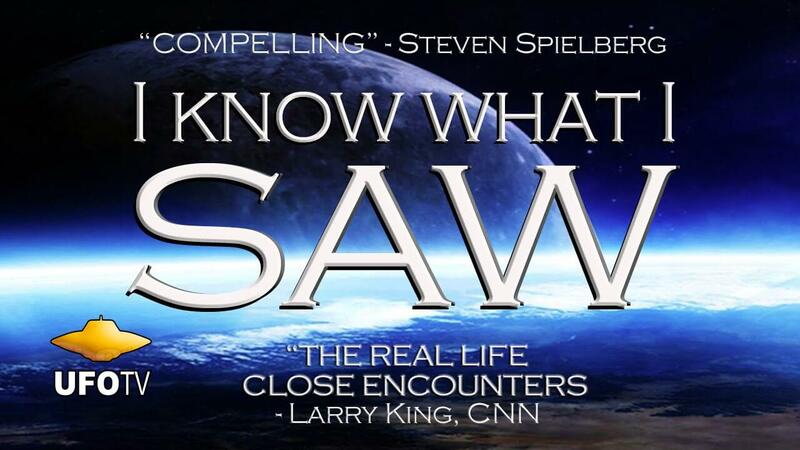 I KNOW WHAT I SAW, a documentary guaranteed to change the way we see the universe. Director, James Fox assembled the most credible UFO witnesses from around the world to testify at The National Press Club in Washington D.C.: Air Force Generals, astronauts, military and commercial pilots, government and FAA officials from seven countries tell stories that, as Governor Fife Symington from Arizona stated, “will challenge your reality”. Their accounts reveal a behind-the-scenes U.S. operation whose policy is to confiscate and hoard substantiating evidence from close encounters to the extent that even Presidents have failed to get straight answers. I KNOW WHAT I SAW exposes reasons behind government secrecy from those involved at the highest level. Additionally, because of the strength of his ratings and the high level of interest from his audience, Larry King has indicated to James Fox an interest in promoting I KNOW WHAT I SAW. With the worldwide unrelenting UFO fascination and the phenomenal success of fictional UFO films, it is high time for an up-to-date documentary about UFOs for worldwide release.